Click on the following link to see a list of functions. Use day to set a specific date. The function returns the days since 2000. For later use, we save the current year, month and day in month. The time is in UTC (universal time coordinated). This is the current Gregorian day number in UTC. This is the offset in hours relative to utc. This is the Julian date. 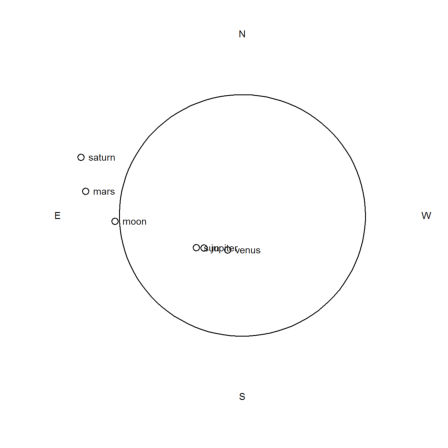 The Greenwich sidereal time in degrees. Let us compute the geocentric coordinates of the sun. In Winter, the declination is negative. The distance is in astronomical units. You can set a variable like this for your own location (longitude in °, latitude in °, altitude in m). Now, we add the temperature (in C°) and the barometric pressure (in HP). We can then compute the altitude and azimuth of the sun. The function raltaz() corrects for refraction. 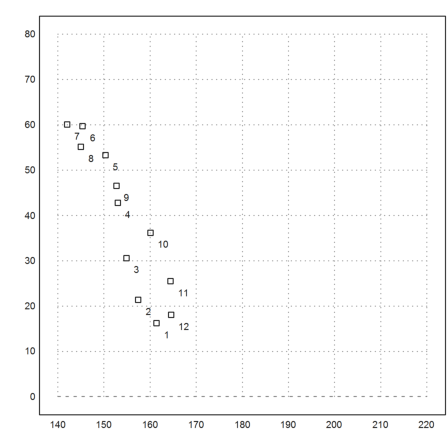 To compute a graph of the altitudes of the sun, we need a function, which returns the altitude at any time. Now we can plot the altitude of the sun today depending on the hour. 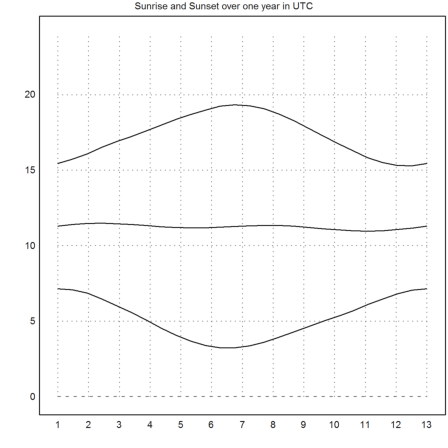 We want to plot the sun at 12 o'clock local time over the year. For summer time, use 13 instead of 12. We can compute the sunrise with the bisection method now. The time marks the point, where the sun is half a degree under the horizon. The highest point of the sun is also easily computed. Note: all times are in UTC! There is a function, which does that automatically. It computes the next rise after a given day. 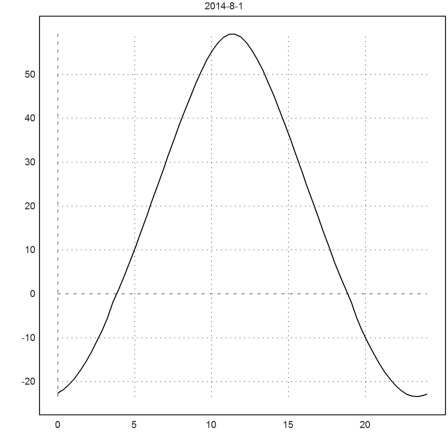 Next we make a general function, which compute the next even "rise" or "set" after a given date. Plot the sunrises over one year. This is a bit slow. Please be patient! Add the sunsets over one year. Add the times of highest altitude. Moon rise and set in UTC.